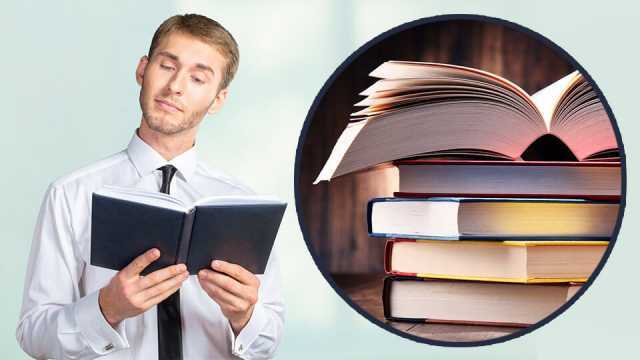 If your goal as an entrepreneur is to build a successful business, then you may want to read the books that helped propel successful business leaders to the top. Information is power, and through these nine books, you may just find the answers you need to make your business prosper. Entrepreneur Jeff Bezos, founder and chief executive officer of Amazon.com and owner of The Washington Post has achieved successes than most entrepreneurs only dream of. So, it makes sense that we take a closer look at the books that inspire Bezos. In a LinkedIn post, CNBC tech correspondent Jon Fortt said the ultra-successful entrepreneur created three all-day book clubs for his senior managers over the summer. Bezos had his top executives read classics that helped him sketch out the future of his company. The second book Bezos chose for his execs to read was “The Innovator’s Dilemma” by Clayton Christensen. The author exposes the failure of many industry leaders. He suggests that by placing too much focus on pleasing their most profitable customers, these firms actually paved the way for their own demise. Christensen analyzes the strategies to successfully grow new businesses while outpacing the other players in the marketplace. Bezos’s third choice, “The Goal,” by Eliyahu Goldratt is a gripping, fast-paced story that revolves around Alex Rogo, a plant manager working desperately to save his factory, which is rapidly heading for disaster. The story of Alex’s fight is highly engaging, but more importantly, provides a persuasive solution for businesses struggling with production delays and low revenues. Some might wonder how this collection of New Yorker articles from the 1960s remains relevant today. However, Brooks’ deeper insights regarding business are as relevant today as they were in the 1960s. In this biography, Isaacson chronicles the adventures of the runaway apprentice who became America’s best writer, inventor, media baron, scientist, diplomat and business strategist — as well as one of its most practical and ingenious political leaders to date. Multimillionaire, entrepreneur and inspirational coach Tony Robbins has read “As a Man Thinketh” by James Allen over a dozen times. In an interview with Business Insider, Robbins revealed that he often gives the book as a gift because it’s concise, easy to read and profound. “It’s the whole concept of understanding that your thoughts really, truly shape everything in your life that you feel and experience,” says Robbins. In his book, Allen shows how our thoughts determine reality. Whether we are conscious of it or not, our underlying beliefs shape our character, our health and appearance. Our beliefs can even shape our circumstances and our destinies. Allen goes on to reveal how we can master our thoughts to create the life we want. Here are another one of Warren Buffett’s favorite books. In fact, in Warren Buffett’s office, reportedly hangs a certificate that reads he completed the Dale Carnegie Course. “Dale Carnegie’s writing and courses change my life,” said Warren Buffett. Entrepreneur and multimillionaire Daymond John, who cofounded the clothing business FUBU is also a key investor on ABC’s hit pitch show “Shark Tank.” John tells Business Insider that Napoleon Hill’s business book, “Think and Grow Rich,” changed his life. Published in 1937, Hill draws on stories of Andrew Carnegie, Thomas Edison, Henry Ford and other millionaires of his generation to demonstrate his principles. However, in the updated version, author Dr. Arthur R. Pell, an expert in applying Hill’s thought, deftly interweaves anecdotes of how contemporary millionaires and billionaires, such as Bill Gates, Mary Kay Ash, Dave Thomas and Sir John Templeton, achieved their wealth. There you have it: eight books that will inspire both novice and seasoned entrepreneurs to reach for the stars. Hey Buddy!, I found this information for you: "8 Game-Changing Books Every Entrepreneur Should Order On Amazon". Here is the website link: https://www.thealternativedaily.com/game-changing-books-for-entrepreneurs. Thank you.